v Anxiety is a vague, uncomfortable feeling of fear, dread, or danger. Anxiety disorders are a group of psychiatric conditions that involve anxiety. Symptoms can vary in severity and length. According to the Anxiety Disorders Association of America, the five anxiety disorders are identified as: Panic Disorder, Obsessive-Compulsive Disorder (OCD), Post-Traumatic Stress Disorder (PTSD), Generalized Anxiety Disorder (GAD), and Phobias (including Social Phobia, also called Social Anxiety Disorder). v These disorders, also called affective disorders, involve persistent feelings of sadness or periods of feeling overly happy, or fluctuations from extreme happiness to extreme sadness. The most common mood disorders are depression, mania; and bipolar disorder. v Psychotic disorders involve distorted awareness and thinking. Two of the most common symptoms of psychotic disorders are hallucinations— the experience of images or sounds that are not real, such as hearing voices; and delusions—false beliefs that the ill person accepts as true, despite evidence to the contrary. Schizophrenia is an example of a psychotic disorder. v Eating disorders such as anorexia, bulimia, and binge eating disorder include extreme emotions, attitudes, and behaviors surrounding weight and food issues. While eating disorders may begin with preoccupations with food and weight, they are most often about much more than food. Eating disorders arise from a variety of physical, emotional, social, and familial issues, all of which need to be addressed for effective prevention and treatment. Eating disorders are real, complex, and devastating conditions that can have serious consequences for health, productivity, and relationships. Eating disorders are complex conditions that can lead to significant physiological changes that require medical treatment in addition to psychiatric treatment. v People with impulse control disorders are unable to resist urges, or impulses, to perform acts that could be harmful to themselves or others. Pyromania (starting fires), kleptomania (stealing) and compulsive gambling are examples of impulse control disorders. Alcohol and drugs are common objects of addiction. Often, people with these disorders become so involved with the objects of their addiction that they begin to ignore responsibilities and relationships. 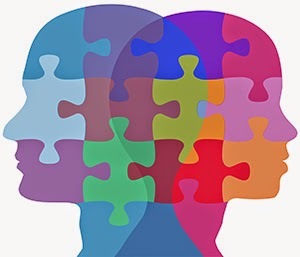 v People with personality disorders have extreme and inflexible personality traits that are distressing to the person and/or cause problems in work, school or social relationships. In addition, the person’s patterns of thinking and behavior significantly differ from the expectations of society and are so rigid that they interfere with the person's ability to function effectively. Examples include antisocial personality disorder (breaking laws, lying to or conning others for fun or for personal benefit, being impulsive and not considering the results of this behavior, picking on other people or getting in fights, ignoring the safety of self or others), obsessive-compulsive personality disorder (common obsessive thoughts include themes of violence, fear of germs and/or infection, and doubts about one’s character and/or behavior), and paranoid personality disorder (pervasive distrust and suspiciousness of others such that their motives are interpreted as malevolent).